Sicker than yo average catering! Excellence is my presence, never tense, never hesitant. 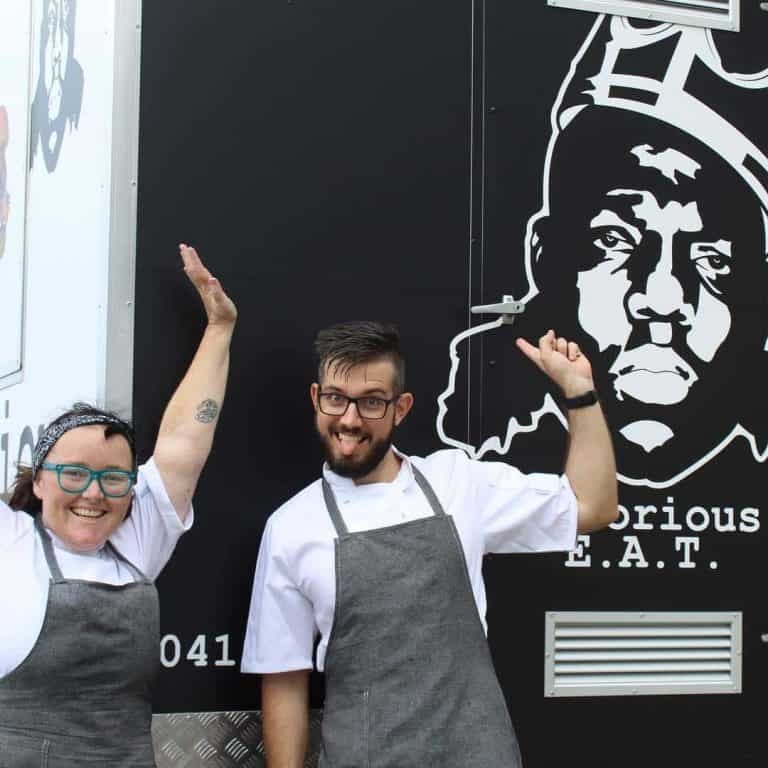 Started in 2017 by Chef Jemma Wickham, NOTORIOUS E.A.T. is gourmet street food like no other! 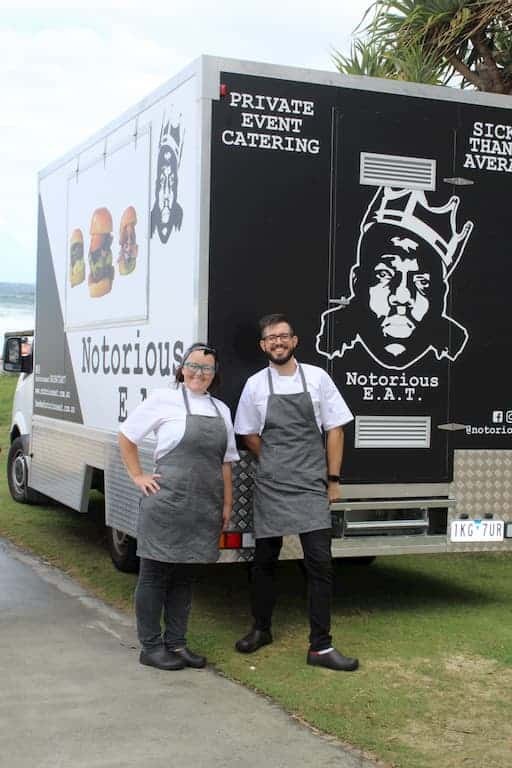 Now servicing the Gold Coast, Brisbane, Northern NSW and beyond with a truck and trailer, it’s easier than ever to feed yo face at NOTORIOUS E.A.T. Getting married or having a party? Hit us up for a catering menu! Created by Chef Jemma Wickham and with the recent addition of Chef Dan Fox NOTORIOUS E.A.T. is more just a burger truck. 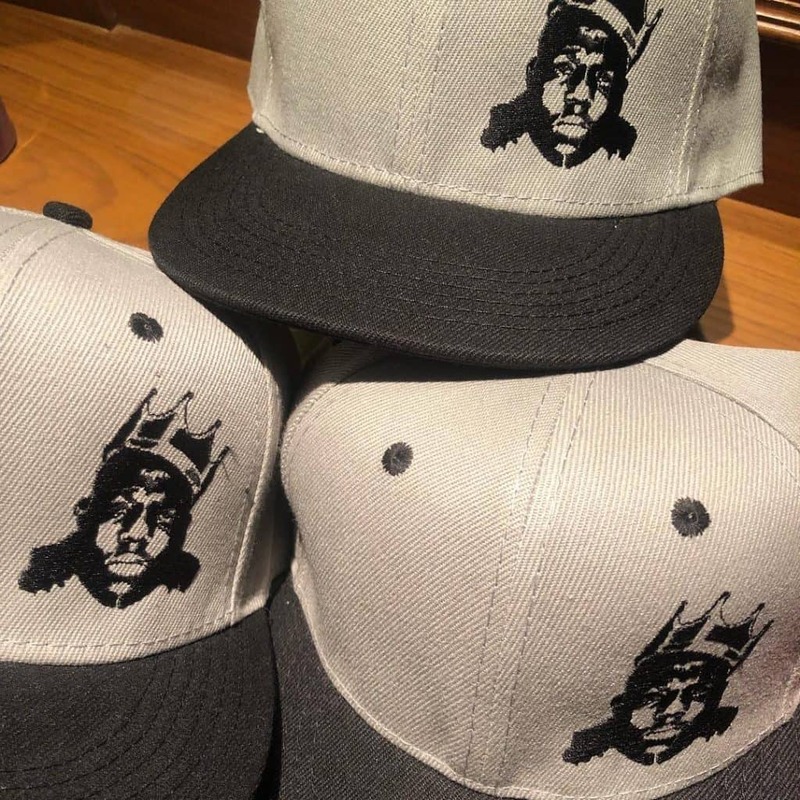 NOTORIOUS E.A.T. is 100% locally owned and run. You will always find Jem or Dan at every event, never some random kid left in charge! We’re passionate about what we do and wont trust your special event or wedding to anyone else! Inspired by the local diner and burger scene in the USA, Chefs Jem and Dan spend time at HQ trialling burgers (yep its a tough life!) to bring you our mixture of fun, flavour and attitude! Fan favourites such as the Ezy E and the Piggie Smallz have been on the menu since the start, whist more recent additions include some of our crazy specials such as the PB Ja Rule and the Pizzaburger! Follow us on socials where we announce special burgers regularly for a limited time only! Whatever you choose the only regret will come from not being able to fit them all in! 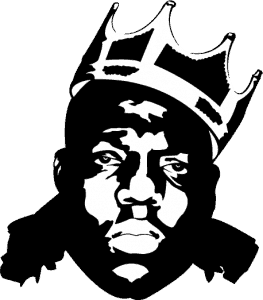 Notorious E.A.T. are the catering Kings! In 2 years we’ve catered countless corporate events, birthday parties, concerts and our favourite, weddings! We’re so honoured that you’ve trusted us with your important events, and cant wait to see you all at our upcoming gigs! Contact us now for a catering menu! If you’re after something smaller for your next function we offer a catering menu of American diner style food – smaller slider versions of our burgers, single serve pulled pork nachos, loaded fries or stretchy mozzarella sticks! Stalk us on the socials! We love Burgers and we know you do too! That’s why we post heaps of mouthwatering pics to our socials for your drooling pleasure! 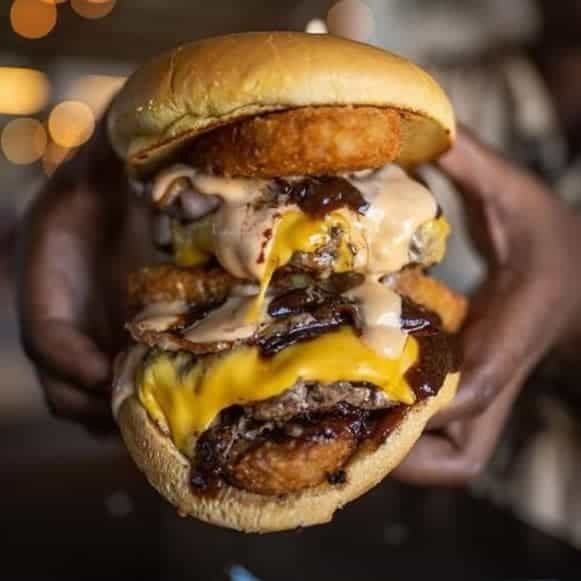 Check us out on Instagram and facebook where you can keep up to date with our truck and trailer locations, new menu items as well as competitions for free burgers YEEEEW! Grab some of our sweet swag and show off to your friends that you’re the B.I.G man about town! All merchandise is available for Australia-wide delivery as well as free pick up from the truck when on location. Drop us an email at shop@notoriouseat.com.au with any questions you may have. I won a free PB Jarule burger. I took hubby and my daughter and we all got one. The best burger I have tasted in a long time. The loaded fries were awesome as well. Can’t wait to try the other delicious burgers. Highly recommended. As a wedding planner we recommend Notorious to any of our clients looking for great quality YUMMY reasonably priced food. I have done numerous events with these guys and cant fault them at all. Thanks Team!! Cannot recommend these guys enough! One of the best burger joints in Brisbane and I have been so impressed every time I have been.